`I was very grateful for today's near perfect visibility and, despite the late hour, just had to sit down to take it all in.' 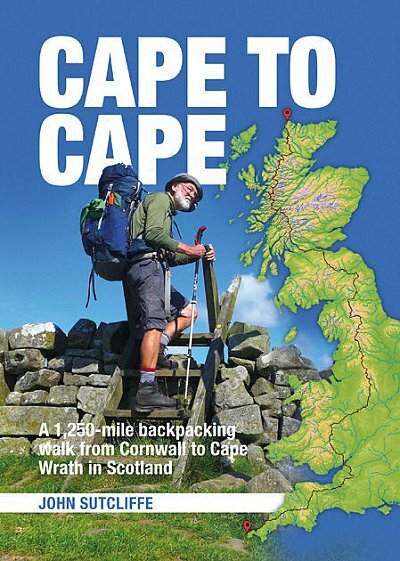 On a late April morning, lover of landscapes and professional geologist John Sutcliffe, approaching his 70th birthday, sets out on a backpacking trek from Cape Cornwall in South West England to Cape Wrath on the north-westerly tip of Scotland: a breathtaking 1,250-mile-long walk. Starting out along the sea cliffs of Cornwall and heading inland across the remote moor country of Dartmoor, Exmoor and the marshy Somerset Levels, John crosses into Wales and follows the delightful Welsh border to Shropshire. Continuing into the limestone dales of Derbyshire, he then treads the Pennine Way for 250 miles to the Scottish Borders, often sharing his campsite with the creatures of the night, facing unforeseen challenges and making new friends along the way. After traversing the Southern Uplands of Scotland and the Pentland Hills - hidden gems that many walkers overlook - he then follows the West Highland Way to Fort William where he clocks up 1,000 miles and takes a brief pause for his mother's 100th birthday. Celebrations over, he sets out across the rugged and wonderfully remote North West Highlands of Ardgour, Knoydart, Torridon and Sutherland, exploring the bothy network along the Cape Wrath Trail and pitting himself against the elements with the onset of Hurricane Bertha. Whether wild camping with curlews or indulging in the occasional hot-shower luxury of a guest house en route, John furnishes his story with details of the cultural and political heritage and the geology underpinning the stunning landscapes encountered on his journey. 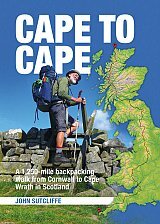 Cape to Cape is an inspiring story of one man's celebration of the diverse British countryside.